Technology outfit Viaccess-Orca (VO) has teamed up with Technicolor to collaborate on the delivery of Android TV experiences. VO has integrated its DRM and VO Player technology on Technicolor’s Android TV set-top boxes from Technicolor in compliance with the TV Input Framework (TIF) – the Android TV framework that provides input modules for controlling Android TV, and enables live TV search and recommendations via metadata published by the TV Input – part of the Android Open Source Project. By making the plug-in for its DRM available in the media DRM format, VO said it could ensure seamless integration into Android TV platforms and minimise complexity for set-top manufacturers. VO’s DRM and secure VO Player solutions have been integrated on Technicolor Sapphire boxes featuring an Android operating system and Broadcom 7271 chipset. VO said that through universal integration of its DRM on Android TV devices, it could provide support for the various Android TV apps and players, including the VO Player. The company said that the combination of Technicolor boxes, VO DRM, and the VO Player would give operators an integrated Android TV solution that is secure and easy to deploy. Technicolor is the leader in a market for Android TV boxes that has been boosted by the success of the Android TV Operator Tier, which allows operators to retain control of the user experience and enables them to privilege their own apps and services while giving access to the full Google Play Store. VO and Technicolor will demonstrate a Technicolor Sapphire STB integrated with Android TV and VO’s DRM at this week’s CES in Las Vegas. “Pay TV operators are increasingly embracing the Android TV environment because of how immersive and engaging it is. 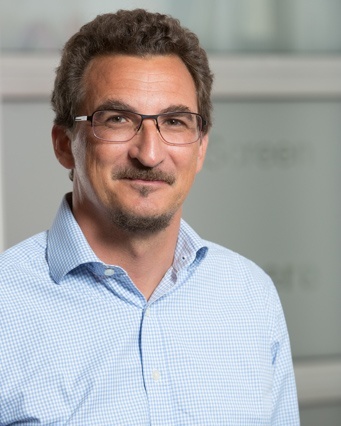 The open and defined approach that VO has taken with its DRM solution significantly decreases integration costs for device manufacturers, enabling us to focus efforts on system on chip specificities and better meet the global demand for Android TV experiences,” said Gaëtan Delcroix, vice-president, video product unit at Technicolor. “Thanks to this new partnership, operators can now take advantage of VO’s extensive portfolio of security services, such as digital rights management and security renewal, on Technicolor Android TV STBs. The end result is that viewers around the world can enjoy premium video content from Hollywood studios they desire on Android TV,” said Chem Assayag, executive vice-president of marketing and sales at Viaccess-Orca.